zoolus | WELCOME TO THE VALLEY OF SUNSHINE! This photo taken before loading buses. In this year only, Zoolus had BLUE bags due to a supplier error. In the background, to the left is a long pathway that passes the I-Pool and emerges beside Nature. For a time during the 70’s and 80’s there was a large sewer pipe at the entrance to the path that could be walked through. A stream ran across the path about half-way along. Each day at 3:45 a snack was served before the buses were loaded. In the 60’s through the mid 70’s vanilla ice cream cups (with wooden spoons) and popsicles were most common. Popsicles came in Lime, Banana, Orange, Red, Grape, Three-colour (red,white,blue). Sometimes, Mr. 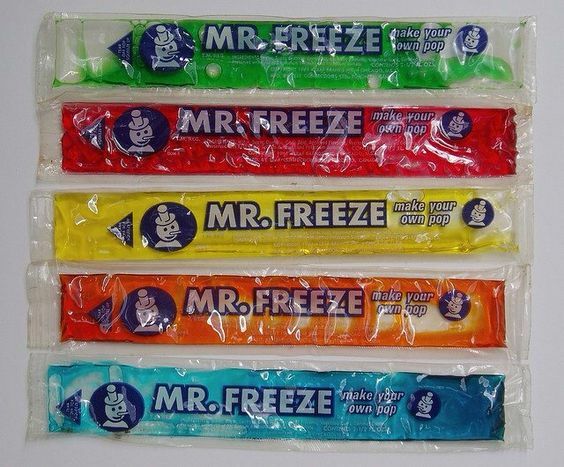 Freeze Pops. On occasion, fruit was served. Usually plums or watermelon.